In the halls of Humphrey’s dormitory, there is a hidden room where the head resident resides. Ann Sherill lives in a room filled with antiques, plush couches, and the smell of spiced tea. Known lovingly as “Miss Ann,” she has worked as a matron at the University for over twenty years (twenty-three, to be exact). Miss Ann began working at Sewanee back in the early 1990s, when her first son was accepted and began attending the University in the fall. Her first dormitory as a matron was Courts Hall. At this point in time, Courts was still an all male dorm and according to Miss Ann, it was remarkably unkempt. “It smelled awful, like dirty socks,” she mentions over a homemade cup of her delicious spice tea. Despite the unsanitary nature of a few dorm rooms she has inspected over the years, Miss Ann never neglected any of her residents.She would often knock on her resident’s doors at random, give a friendly hello, and check to see how they were. Her door was always open and if she was ever out and about, she would invite students to leave a message on her little dry-erase board outside of her room. At each Sunday dorm meeting, Miss Ann would have a homemade treat and a fresh beverage waiting for her dorm staff as a token of her admiration and appreciation for them. This is the sort of person Miss Ann was and is to everyone she encounters. Recognized for her loving personality and southern hospitality, she has never ceased to show how much she cares about her residents and all members of the Sewanee community. Although she is leaving the mountain to begin a new life in Georgia, she will be remembered fondly, missed terribly, and welcomed back always. 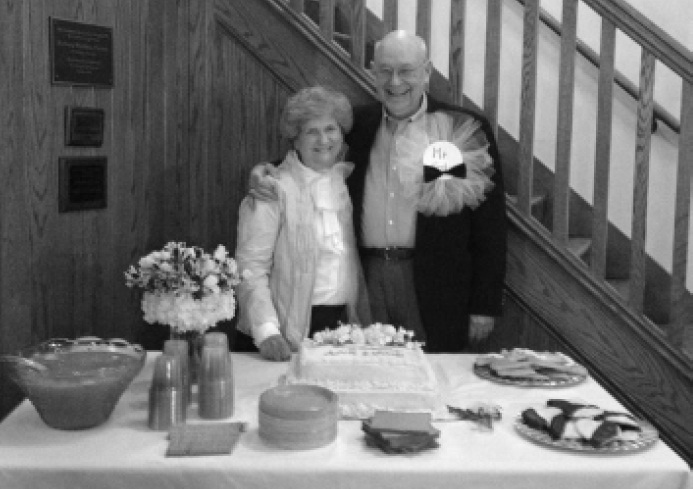 Congratulations to Ann Sherrill and Fred Sharpe on their marriage and best of luck during this exciting new adventure!